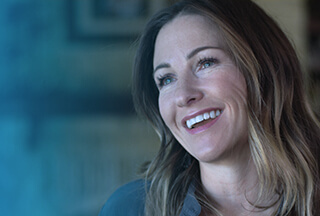 Dell DevOps Architect, Technical Staff (Technical Architect Lead for Cloud Native Transformation) in Austin, TX - Digital-IT at Dell Inc.
Dell provides the technology that transforms the way we all work and live. And more than a technology company — we are a people company. We inspire, challenge and respect every one of our over 100,000 employees, and offer growth and development opportunities for our team members. We can’t wait for you to discover this for yourself as part of our team. Dell Digital’s transformation team is modernizing Business capabilities that we deliver for our customers and internal team members. Modernizing applications to become Cloud Native, and powered by end to end DevOps Enablement is a key component of this transformation. As our DevOps Architect Technical Staff (Tech Lead for Cloud Native Transformation), you will be responsible for all aspects of DevOps Architecture - including Technology, Process and Automation. You will be a hands-on enterprise level Architect, and also a trusted advisor for the DevOps enablement team as well as the Application teams. In this role, you will be architecting Continuous Integration and Continuous Delivery Pipeline as Products for Cloud Native Applications and Traditional Web Applications across Dell IT. These are developed using containers for orchestration and self-service enablement for our development teams. Your work will enable adoption of end to end DevOps across application teams, and drive the adoption of this capability across application teams. Your ability to not only code and configure tools but also your deep understanding of Cloud Technologies, developing cloud platforms, and ability to assemble and integrate technology across disparate platforms is critical to the success of our future state. If you are a high emotional quotient (EQ) person talented in working with varied stakeholders and also communicating clearly with senior leadership, enjoy working with a holistic view of DeOps including Test Driven Development, and have the desire to serve as a Change Agent across IT, then Dell Digital is an excellent fit for you and we are excited to get to know you! We offer highly competitive salaries, bonus programs, world-class benefits, and growth and development opportunities — all to create a compelling and rewarding work environment.